RECRUITMENT INTO THE KADUNA STATE ROADS AGENCY KADRA. The Kaduna State agency (KADRA) is charged with the responsibility for construction, upgrading, rehabilitation and maintenance of all state roads within Kaduna State. 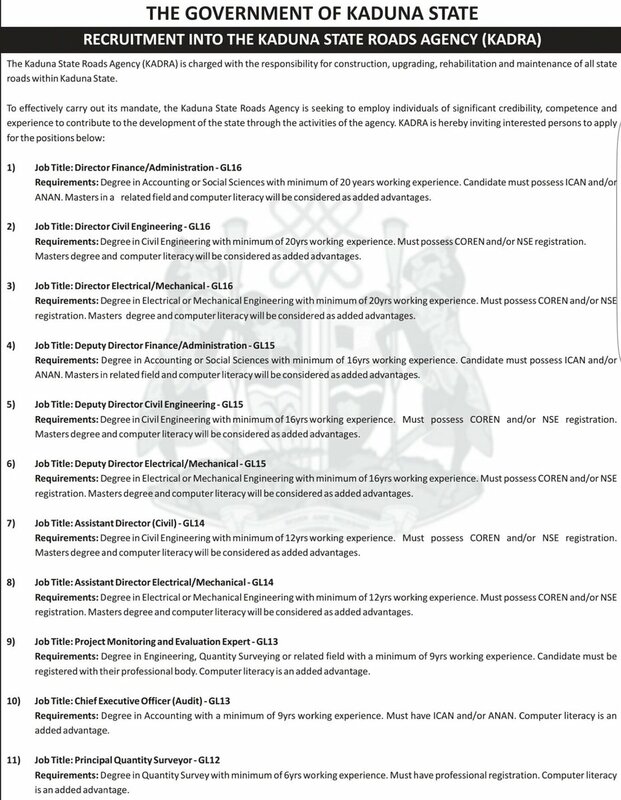 To effectively carry out its mandate, the Kaduna State Roads Agency is seeking to employ individuals of significant credibilty, competence and experience to contribute to the development of the state through the activities of the agency. 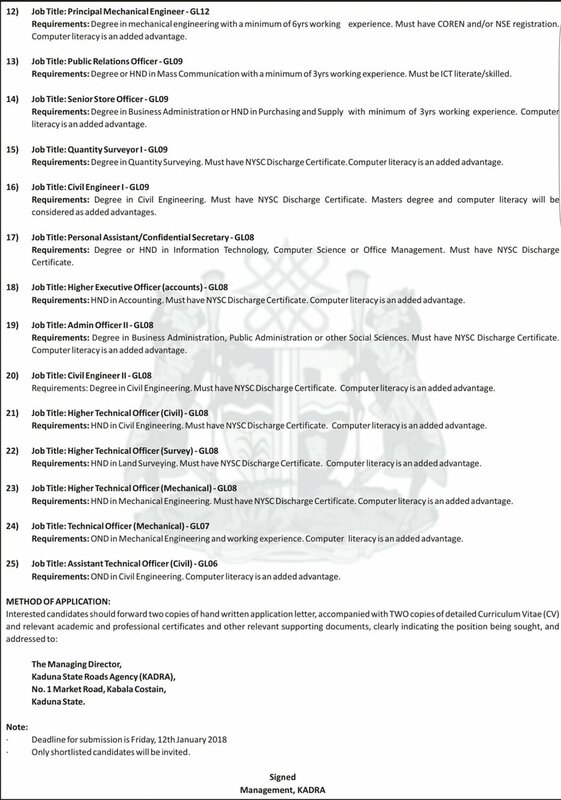 KADRA is hereby inviting interested persons to apply for the positions below..